Clinique is a brand that I have stuck with for years. (Quick skin update: My skin has always been acne-prone and sensitive. My skin type changed from extremely oily to dry to combination. What a roller coaster! I’d kill for normal skin.) Clinique has been the constant brand I go back to no matter what condition my skin was in. This brand has moisturizers for every skin type and skin problem. None of the moisturizers I am mentioning have SPF; I always wore a separate SPF face lotion if I was going outside at all. 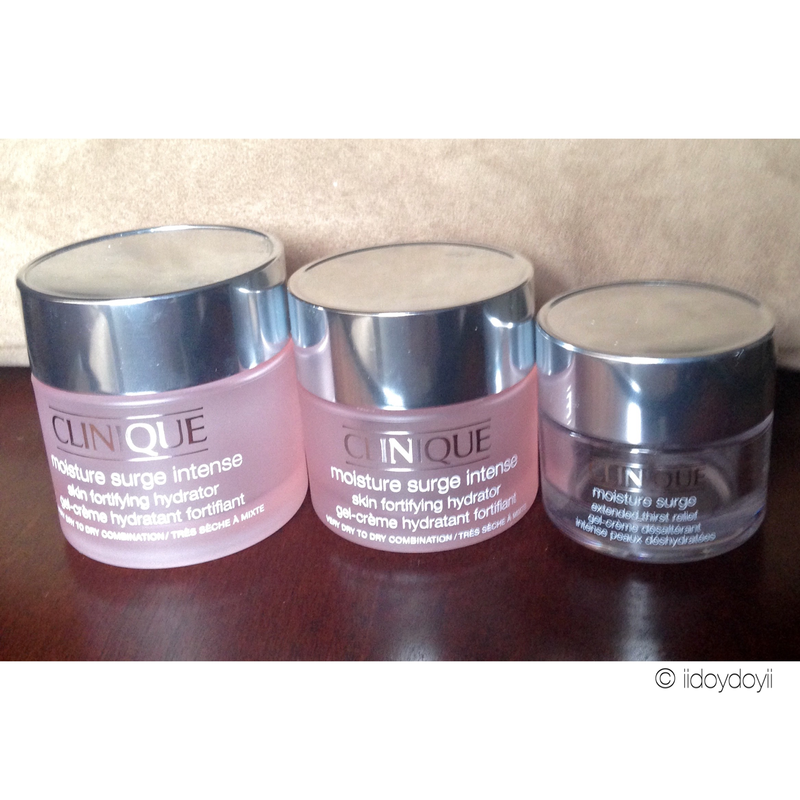 Moisture Surge Intense was my daytime and nighttime moisturizer when I had extremely dry skin. It never clogged my pores, but just know that a little goes a long way. Moisture Surge Intense is very potent and great at hydrating the skin without irritating it. The original Moisture Surge is what I currently use for my combo skin. I have nothing but good words to say about this moisturizer. I use it daytime and nighttime, and it offers just the right amount of moisture to my entire face even though I am oily in some parts of my face and dry in the other parts of my face. I’ve finished more jars and bottles of Clinique moisturizers that just didn’t quite make it to that photo. You can trust that I am a Clinique fan. Moisture Surge has saved my skin esp during winter. Do you recommend any other good moisturizers?? Thank you for the suggestions. I will look into them! I feel you girl! Yes you should give it a try. It’s oil free, fragrance free and doesn’t irritate my sensitive skin. Lmk if you do try it! I’m also thinking about trying their 3 step system after I finish my current products 😊 Clinique is great! I agree. Love Clinique products. I hope it works out for you! 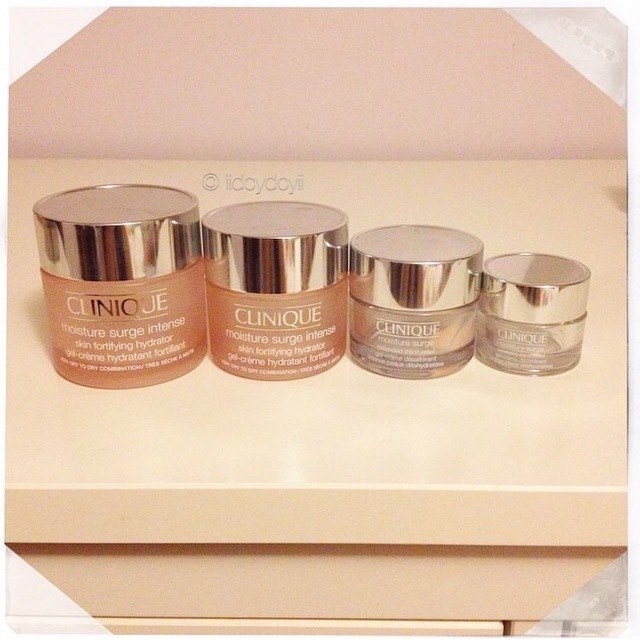 😀 my mum has always been a Clinique fan and I’m slowly following her footsteps into the skincare department. Great post because I’ve always had second thoughts on getting this or not. It’s helped me out more. I’m so glad this post helped you! I got into the brand because it’s good for sensitive, acne prone skin like mine. I don’t see or I’ve never seen a dermatologist, but I believe my skin is sensitive, oily to combination. Lol. SAME HERE. Omg I am meeting more bloggers with my skin type. It’s awesome. We can keep a look out of all the products we liked/loved/hated!